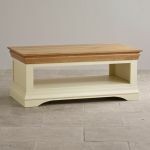 The Country Cottage Natural Oak and Painted Coffee Table flaunts an exclusive design inspired by traditional French furniture. 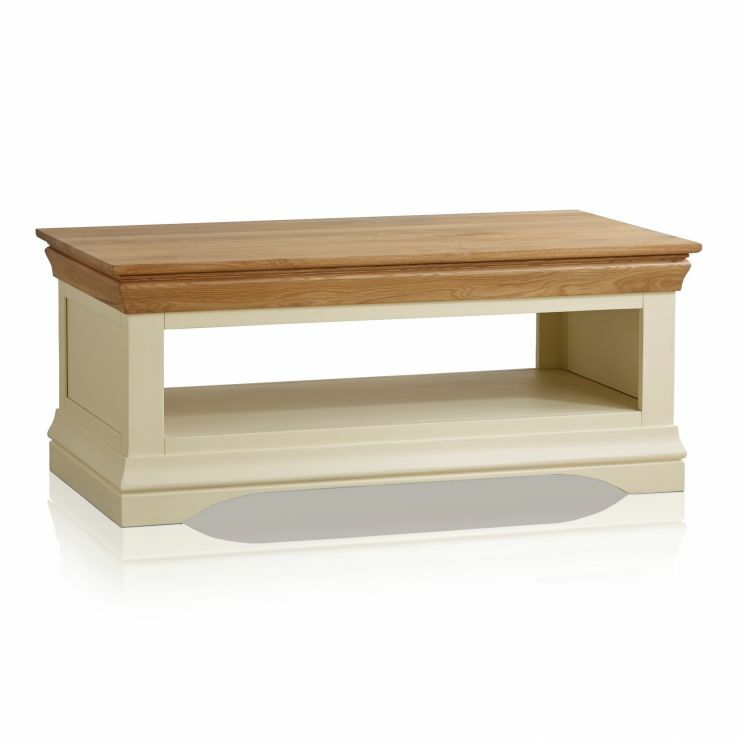 Handcrafted from the finest cuts of solid hardwood, it’s characterised by a distinctive two-tone finish with a cream painted base and striking natural oak top. 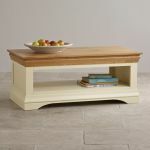 Offering essential storage space in the living room, the coffee table features an expansive shelf for magazines or books. 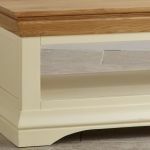 We only ever use the finest quality materials in our furniture, which means no veneers, no chipboard and no MDF. 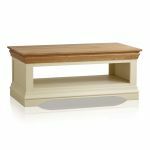 An elegant standalone piece, this beautifully painted coffee table can also be matched with other items from the Country Cottage Natural Oak and Painted range for extra impact. 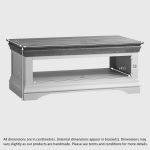 Why not take a look at the whole collection to discover how easy it is to transform your home?